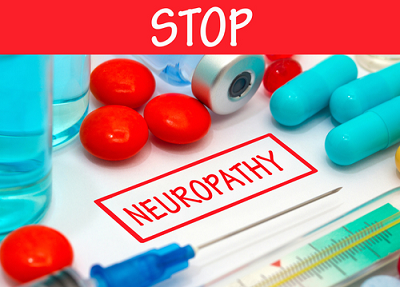 If you have diabetes, then you can develop neuropathy which is a type of nerve damage. Nerve fibers in your entire body can become injured because of high blood sugar. Generally it’s your legs and feet nerves that are affected and that’s why diabetic neuropathy and feet go together. You may feel tingling or numbness in your feet. Diabetic neuropathy is not to be confused with peripheral neuropathy. With peripheral neuropathy, you are not be aware of any how hot the water is in a hot water bath with numbness so you should use caution. Your risk of infections of your legs and feet increase because you can develop cuts, wounds, fissures, or calluses without being aware of them. I’ve had numbness in my feet for years now. I’m here to help you learn what I have experienced. I’ve been to every kind of doctor and treatment I could find. Between my physician, podiatrist, chiropractor, physical therapist, acupuncturist, neurologist, and having MRI’s and nerve compulsion tests of the lower back and finally visiting a spine institute, I finally found the answer. Spinal stenosis and herniated discs are the cause. So for me it’s not diabetic neuropathy (thankfully) but it doesn’t mean that I don’t watch my blood sugar and diabetes. The one grateful thing I can say is that I am not in pain. I go for spine surgery soon but I don’t take my eye off diabetes and its’ complications. Neuropathy is not reversible. Have you had any experience with tingling, numbness, or an electrical shock like sensation in your feet and for how long? Do you know how long you’ve had diabetes and were you not addressing your diet properly, or exercising enough? Have you been religious in taking your medications? If yes is the answer to even one of these questions, then you may have or have had for some time diabetic neuropathy. Your inability to discover certain objects in your shoes including but not limited to: tacks, paper clips, rocks, and pins and these can lead to injuries and infection. If you are unable to detect heat as in a foot bath or even a heating pad. Your toes can claw and cause foot drop from weakness in the muscles. Wash and clean your feet and make sure you do it every day. Always wear slippers or shoes to avoid injury by stepping on anything that could cause this. Make sure the toenails are trimmed because you do NOT want an ingrown toenail. I had it one time and it was SO painful. Be sure that you are wearing the proper size shoes and that you have enough room to move your toes. I found wearing a slightly bigger size is better. You don’t want to cramp your feet in shoes that are too small. Always check the inside of your shoes to see if there are any small rocks or pebbles inside. Otherwise you may not notice it and a small injury turns into a bigger problem. Prevent any trauma by wearing the proper fitted shoes. Tennis shoes or orthodics will do. NEVER wear open shoes such as sandals. Be careful of athlete’s foot. Use a powder that will remedy this situation. You should have a podiatrist exam your feet on a regular basis but you should also perform your own foot exam daily. After washing your feet, sit where you’re comfortable and can see well with plenty of light. Cross one foot over the top of the other leg and dry it thoroughly and that includes in between the toes. Turn your ankle so that you can see the sole of your foot. Use a hand held mirror if necessary. You want to make sure that you can examine your foot totally. For the soles of your feet you are looking for any lumps or bumps. This could be a possibility of a bone or muscle issue. Check the balls of your feet for any bumps or different patterns. This part of the foot absorbs a great deal of pressure in your daily walking. You want to avoid any corns or calluses. Your heels can have very cracked, or rough dry skin. Examine thoroughly for any small cuts that could become infected. Feel your entire foot for any abnormal “bumps” and to make sure that one part of the foot is not any hotter or colder than the other parts. Spread your toes apart to look in between. Squeeze the balls of you toes gently to test your blood flow. You’re looking for a normal color to return in a few seconds. If not, circulation could be an issue. You want to check your toenails for ingrown nails. This is NOT something you want to develop because it IS painful. Use toenail clippers or have a nail care expert perform it. Always and I repeat always wear shoes outdoors. If you’ve ever walked on hot beach sand or asphalt, you know how hot it can be. I never walk outside without foot protection because there could be anything on your walkway or lawn that you could step on. It may sound silly, but sun screening your feet is critical. If you get a burn on your feet and it peels, it can become infected. Do NOT wear sandals or flip flops. You will be prone to blisters and that can lead to all kinds of complications. Check your feet after being outdoors and look for anything from bug bites to splinters. Attend to these immediately. Medications such as gabapentin or lyrica. Topical treatments. I’ve had good experiences with capsaicin cream, but you must be careful because you may start out with some skin irritation or burning. Don’t put on too much and it will lessen in time. Anti depressants may help they bypass the processes in your spinal cord and brain so that you may not feel the pain. Different therapies may aid in you’re not feeling the pain. Herbs. Some herbs can help reduce neuropathy pain, but some may interact with medications so check with your doctor first. Acupuncture. This may help but you may need several sessions to get any relief. I’ve enjoyed sharing my experiences with diabetic neuropathy and feet and hope that you’ve learned something. It is nothing to be taken lightly and keeping watch of your feet is extremely important. For something that would give you even more help with neuropathy, check this out! If you have any questions or would like to leave a comment, it would be appreciated and I will respond quickly. Thank you! Diabetic neuropathy is a serious condition and If anyone has symptoms they should be on top of it right away. I went through a lot of testing to rule out neuropathy. Our health is so important and controlling diabetes is the first step in living a better healthier life. Thank you Lloyd for your comments! Hi Rob Sciubba, thank you for sharing this information. I found this article a reliable source in differentiate between Diabetic Neuropathy and Peripheral Neuropathy. After going through this article there were some sections which I don’t understand. In Peripheral Neutopathy you’re not aware of cold, any heat and pain. But the symptoms pain, numbness and tingling can be felt. Did I missed some information here? Hey Andy. Neuropathy is very uncomfortable and dangerous no matter which you may have. What I meant to say was with peripheral neuropathy, you are may not be aware of how hot the water is in a hot water bath with numbness so you should use caution. Thanks for the heads up.It is now corrected. Do you have neuropathy? I found this article especially interesting as my boyfriend has diabetes. We do keep his feet clean and check them periodically for any sores but I was not aware of some of the steps you advised in your post! I will definitely be discussing this with him and incorporating those items! I know that his doctor is always asking him about his feet when we go in for checkups. Thank you for opening my eyes and making me more aware of this topic! Hey Kristin, thank you for your comment. I’m glad he keeps his feet clean and checks them. It’s good that the doctor keeps tabs on them too. It’s a serious situation and things should be okay as long as we stay on top of everything. Good luck and don’t give up! Thanks for this informative article, I know a few people with diabetes. Are people with type 1 diabetes more susceptible to these problems or does that not matter? Also are there any kind of special foot ware that is specifically made for people with diabetes?Thanks for your response. I think everyone knows someone who has diabetes. Yes, people with type 1 diabetes are more susceptible to neuropathy. There are a lot of special footwear companies available if you have diabetic neuropathy. You can check online for companies that offer diabetic shoes. It makes it more comfortable and safe to wear diabetic shoes. Thanks for providing so much information around this, I was not aware of the connection between diabetes and feet and it’s really good to know seeing as I have family members with diabetes. I think it’s easy to dismiss the seriousness of diabetes and the complications that come with it when you haven’t seen or experienced it yourself so this is a real eye opener. Even as a non-diabetic I tend to forget about my poor little feet so I’ll definitely be taking on your advice in regards to foot care and examinations. Yes there is a huge connection between diabetes and your feet. Diabetes is very serious and if caught and addressed early, it can be controlled. It is a bit more difficult to understand unless you actually have diabetes and experience the symptoms of it. Eat healthy, exercise and see your doctor and have your blood sugars checked regularly. Hi Rob, I really enjoyed reading this blog post. I have a few people close to me that have been diagnosed with high blood sugar recently. I thought your advice on how to care for one’s feet is great! I had a teacher a few years back who always said: “take care of your feet and they will take care of you”. Sage advice! Hey Jackie thanks. High blood sugar is what lead to my neuropathy. While I am thankful that’s it not pain, the numbness is unbearable sometimes. Taking care of your feet is important and I agree that they will take care of you too. Seeing the doctor regularly is crucial for the health of your feet. I’m doing what I can to treat the numbness and anyone experiencing this should too. I am familiar with this since I have peripheral neuropathy myself though I do not have diabetes and am only in my 30’s. I have had if for as long as I can remember. I used to get numbness or a feeling like I was walking on large marbles in the balls of my feet. My toes are clawed, I have poor circulation, I get pains and numbness still even though it is much, much better. I have discovered the secret for me is finding the right brand of shoe. I only wear Naot brand now since they are so amazing for my feet. I get the shoes, boots and sandals all in that brand. I agree, don’t cramp your toes in shoes that are too tight! I use arnica gel for other problems like chronic bursitis but if my feet are really bad for some reason I use arnica gel on them also. I love arnica gel! It is amazing. Thanks for this information about peripheral and diabetic neuropathy. My Dad had one or both. He had type 1 diabetes since 1959 and was the longest living person known with it! He passed away a few years ago, not from diabetes, but from leukemia. His feet looked just like mine, with the hammer toes etc. So, I know I have to be careful. I see that this a very serious condition. Thanks for sharing the information. I know foot pain is not something you should play around with. Diabetes is something that one of my friends has had to deal with so I think this article will help him out. I will have to send him to your site. Neuropathy is a serious condition and you don’t necessarily have pain all the time. Anything that has to do with diabetes should be examine by a doctor. There are many ways to treat neuropathy and sometimes it takes more than one method to help. The important thing is to address it as soon as possible. It is known that diabetic can cause serious damage to your muscles and this can be permanent. My father in law has this problem for a while, and even when his sugar level goes down, the pain and uncomfortable feeling he has it stays for now. People, it is very important to keep an eye for your sugar level, because this can save your life. Also, your legs and feet will feel good and not with pain or cramps. Diabetes can cause so many problems and it did for me with causing neuropathy. I feel the Neuropathy Solution is helping me immensely. Like anyone else, I still have to control my blood sugars with healthy eating and exercise. But the numbness in my feet was taking a toll on me and the Neuropathy Solution is beginning to help me. I would recommend anyone with neuropathy to get this book! It will help you!